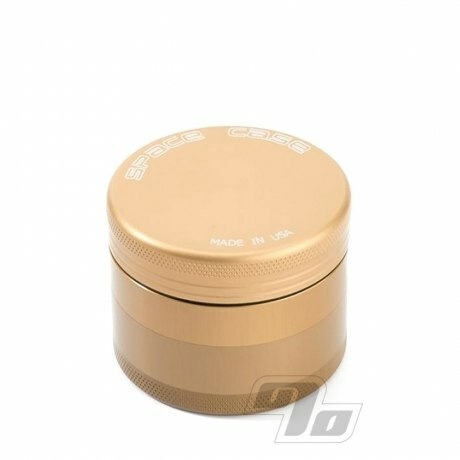 The Space Case Mixed Gold Grinder/Sifters are cut from solid aircraft aluminum and then anodized with a special alloy for that mixed gold color. This finish takes the finest grinder and adds increased durability and scratch resistance. This one is a Small version for travel and easy stashing. Despite it's pocket friendly size, this Space Case till grinds up as much as you can throw at it with ease. Stage 1 is the herb grinder which easily shreds anything you put in its diamond shaped teeth! Small holes allow the ground up material to pass to the second stage. A neodymium magnet securely holds it in place when not in use. Stage 2 is the sifter and storage portion of the Space Case. All the medium size pieces are captured while the finer particles (pollen) make it through the stainless steel sifter screen. The final stage is the pollen collection chamber. Pollen collects over time and can be then made into very special herbal concoctions using a pollen press. Use the included Space Case scraper triangle to help remove material caught in the screen and harvest. The approximate external diameter is 2 inches with an approximate height of 1 1/2 inches. 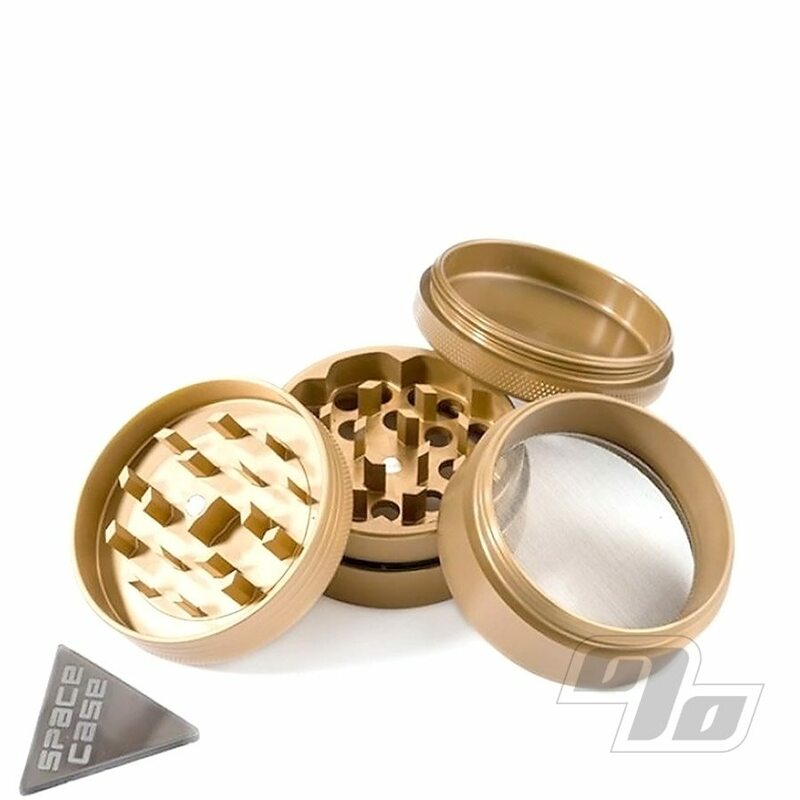 Genuine Space Case Grinder Sifters are Made in the USA from the finest materials and finished to perfection. They may cost a little more but they are also Guaranteed for Life; No Questions Asked (if real)! Be careful of cheap knock-offs on certain "discount sites".